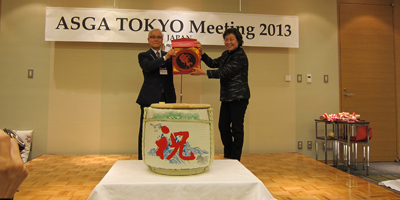 The first ASGA Committee meeting of the New Year was held at Tokyo, Japan on January 30, 2013. Representatives from all the different member nations gathered together before the meeting for lunch. 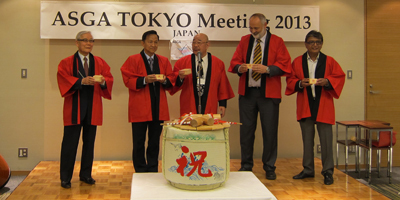 After a hearty meal, the ASGA committee members moved on to the meeting venue at Hotel Sunroute Ariake, Tokyo, Japan. It was a four-hour marathon session as always, with relevant issues being discussed and deliberated upon. 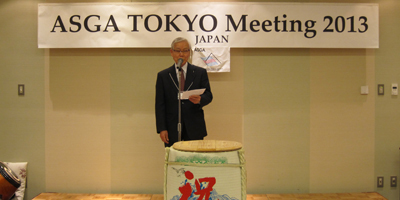 The proceedings commenced with the welcome message from Hiroshi Yoshida, Chairman, ASGA. This was followed by a review of the Minutes of the last meeting held. The next item on the agenda was the activity of working team report. The discussions then moved on to money matters with the financial report and budget simulation being taken up. Next on the agenda was a review of teh action plan for 2012-2013. Key points were contemplated and their implications considered in detail, keeping a holistic perspective of the prevailing economic scenario. Following this, there was informal communication among ASGA members on various topics that affect the industry as a whole. At the reception and dinner that followed, memorable hospitality with traditional Japanese customs was experienced by representatives from the other ASGA member countries who had specially gathered for the occasion. Japanese taiko drums have been developed into a wide range of percussion instruments that are used in both Japanese folk and classical musical traditions. Those gathered had a rare opportunity to experience this performance. Finally, a big drum filled with the Japanese 'sake' was brought onstage. Three Japanese dignitaries, a FESPA representative and Anil Brahmbhatt, President, SGAI, were invited to hit it and in this way, the evening's memorable celebrations went to an even higher level.